I have had my own eyes opened, though, recently, thanks to one dear friend and also thanks to the beautiful and informative posts this week of 2 of Hadley Court’s 4 co-writers, Kim Shaver and Lynda Quintero-Davids, regarding this huge movement towards authentic, sustainable living, based on fresh food, slow flowers and beautifully made products using local sourcing whenever possible. And now it’s my turn today to write on this subject, so, since I live in a pretty 2 bedroom apartment with an 8′ x 8′ foot outdoor front patio area, I thought I’d explore kitchen and vegetable gardening solutions for smaller spaces today, in case some of you live in similar smaller spaces, too. There has to be a more elegant solution for small space planters than the picture below, right? So, let me share with you what I’ve found, which is quite a lot..and quite wonderful! 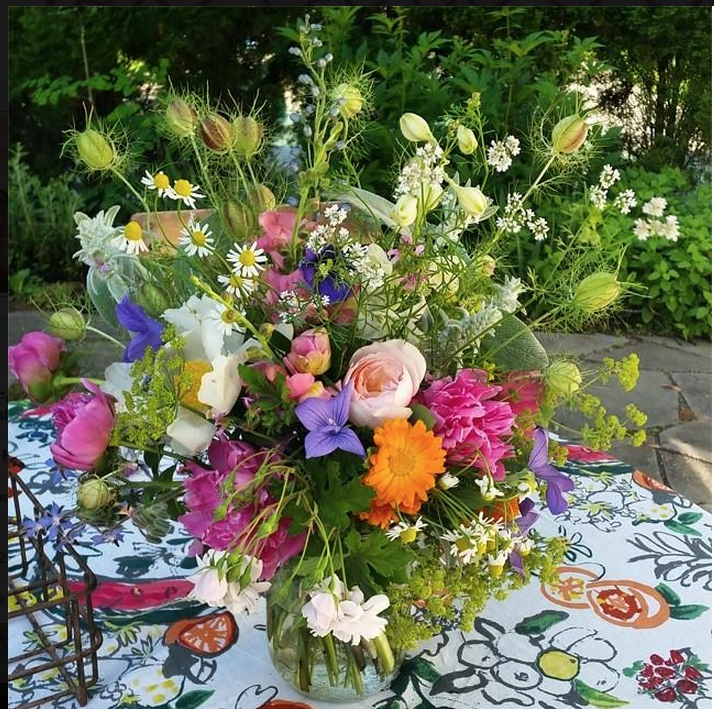 Some of you know I went on vacation recently to NYC to see a very good friend of mine, Gloria Battista-Collins, who is well known in the Hudson Valley area for people who want the most beautiful, locally grown, organic flower arrangements for their weddings or events. 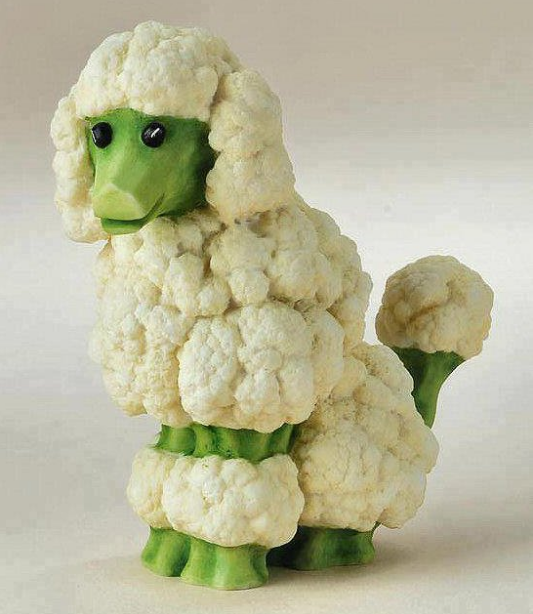 I credit Gloria for opening my eyes, first, to the beauty of organic gardens and the benefits of eating healthy foods. We had quite a long talk while I was there about how eating well and living a healthier lifestyle was part of what I needed to do in my own life. 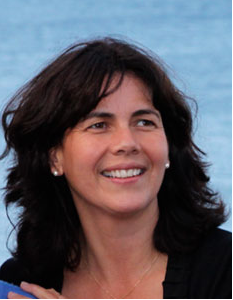 One look at Gloria, who is in her 50’s, and you can see that she practices what she preaches. Gloria has an Instagram feed which is very popular and the pictures below are two that she’s recently posted to it. She and her husband have 2 young sons at home and she cooks fresh for them almost every day. Here is a picture of potatoes just blooming in, while waiting for her kale to come in, by the back door of her garden. 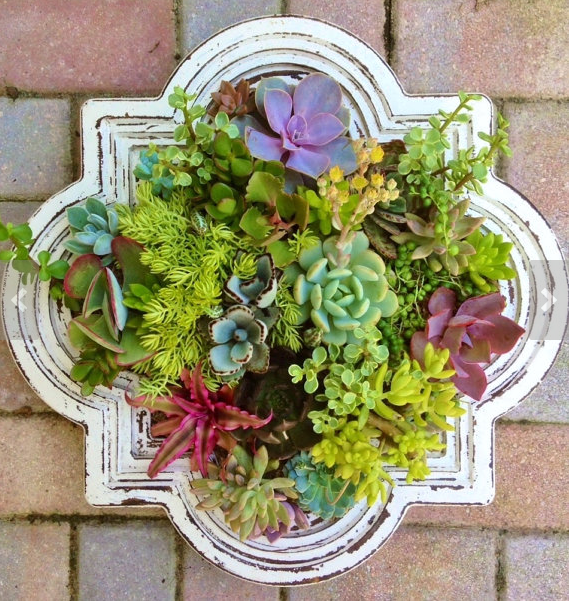 You may remember this arrangement of Gloria’s from Kim Darden Shaver’s beautiful Farm Fresh Style post, here. These flowers were all grown organically in Gloria’s own garden. 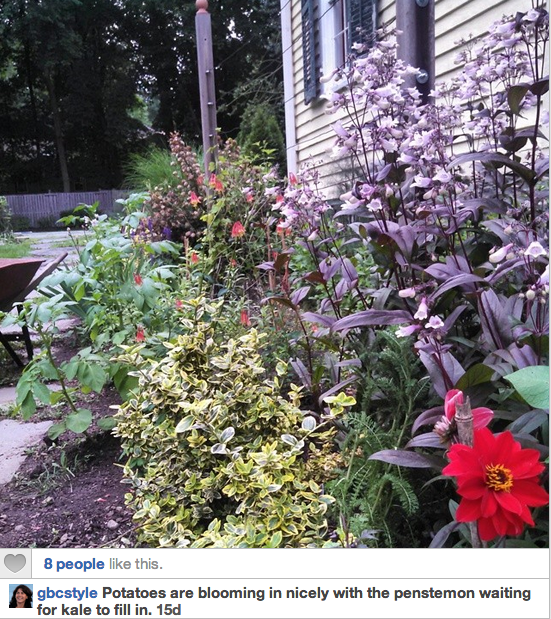 If you’d like to see more, search the tag: #slowflowers. So, even though I’d love to have a large garden like Gloria’s , I can’t, and I also don’t have the time. 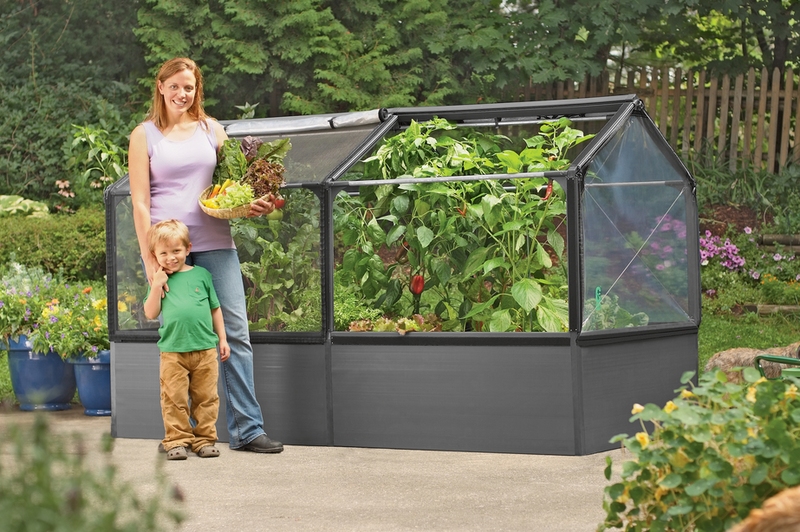 So, in case this is you, too, Hadley Court readers, here are the small space vegetable gardening solutions I’ve found for you, and for me, too. I saw this in person when I attended ICFF, the International Contemporary Furniture Fair, on that same vacation a few weeks ago in NYC. 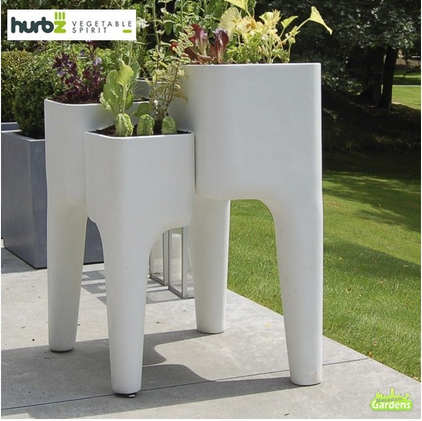 Instead of a lot of text, I will share with you the link to INHABITAT’s wonderful blog on this great product, from HURBZ, that has won awards. At $399.00 for all 4 pieces, I think this is a great buy. Click here for it. This picture, below, gives you a sense of its small scale, relative to other outdoor furnishings. It is a wonderful solution and comes packaged prettily, too, making it a great housewarming gift. a truly tiny solution from a wonderful French company, http://www.forest-style.com/en/. I don’t know if they import into the USA, or not, but since there are many international readers of Hadley Court, too, I am sharing this excellent European resource. 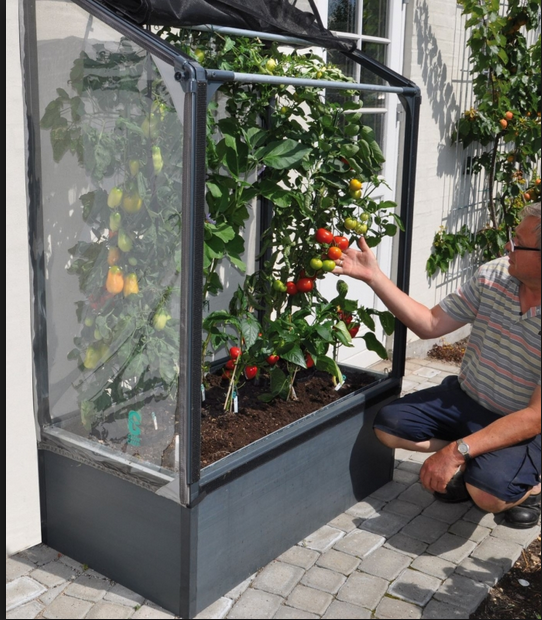 Their catalog is full of every single thing you could ever need to create a charming outdoor vegetable gardening space, including beautiful trellis work and fencing. 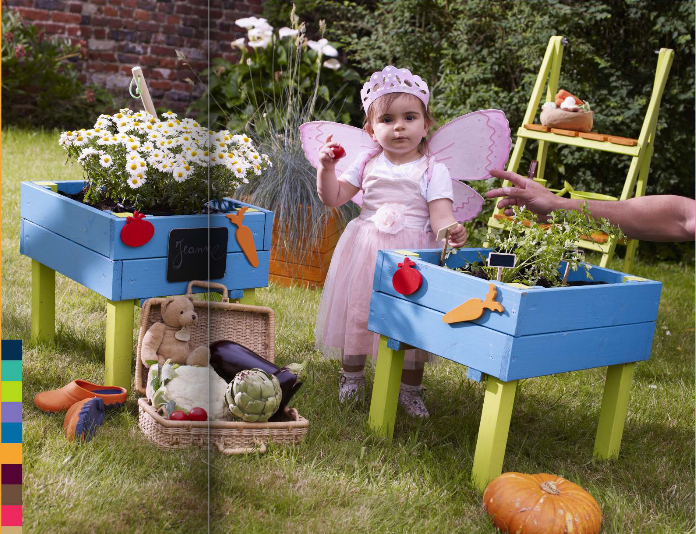 From their online catalog, a screenshot of their children’s mini-vegetable garden box. Is anything more precious than this picture? 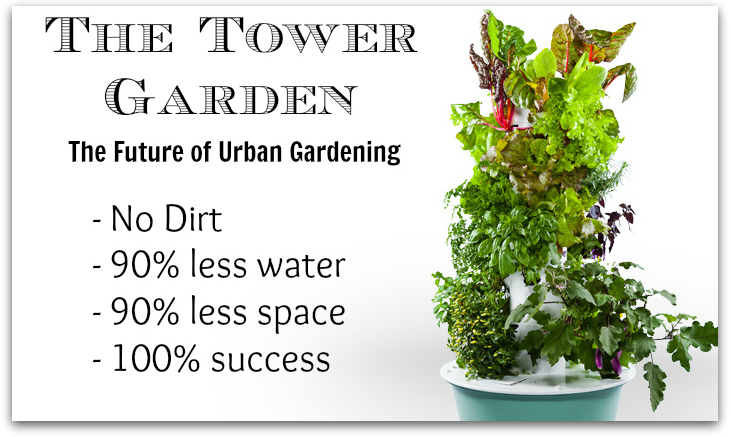 A state of the art vertical aeroponic garden that lets you grow any fruit or vegetable or flower you want, using no soil and 90% less water. The perfect choice for any patio or deck where space is limited. I’ve seen these in person and they are beautiful! Price? 525.00 and click, here, if you’d like one. 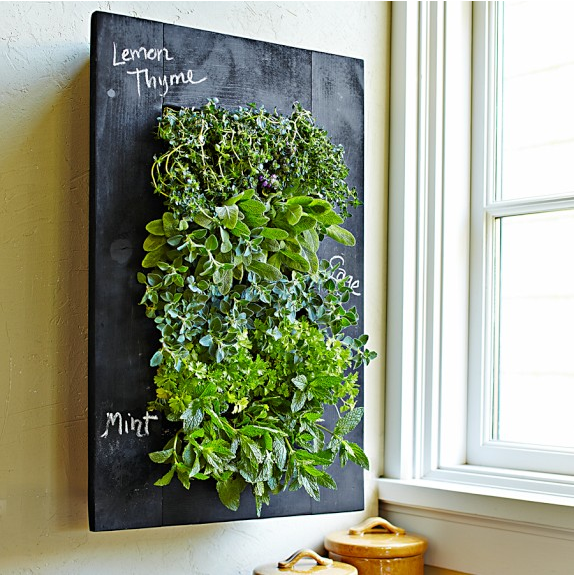 For really limited spaces, I fell in love with this hanging, chalkboard paint covered herb planter, available through Williams -Sonoma, here. It’s $145 and shipping is free. I thought this would also make an ideal wedding gift for couples in apartments or small homes who enjoy cooking with fresh herbs or seniors who have a hard time bending over. Do you agree? It also comes in different sizes. See below. 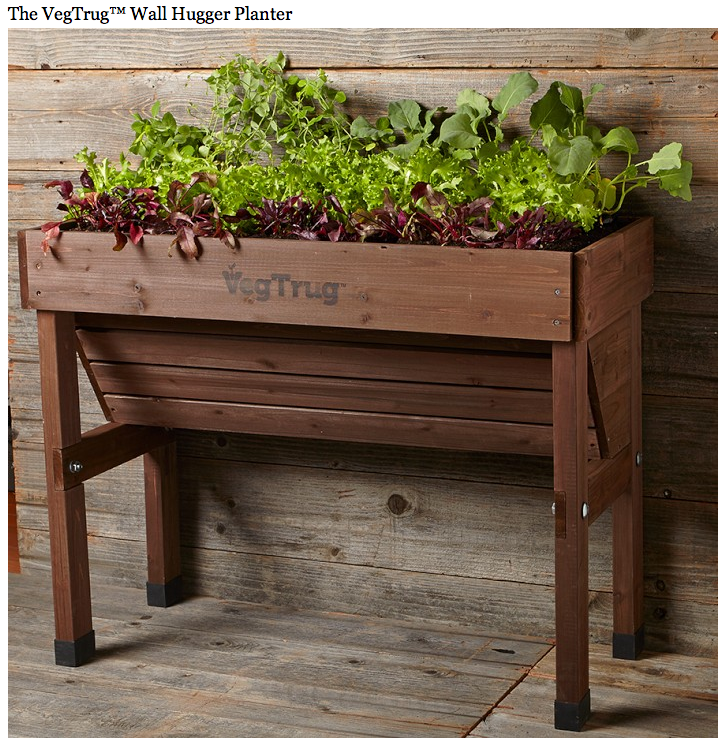 Also from Williams -Sonoma, the VegTrug brand of raised vegetable gardens is below. 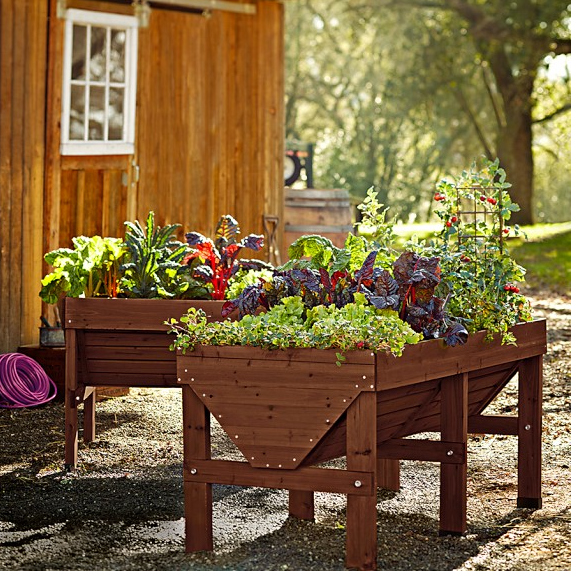 The light on the veggies in this picture below captivated me, but the VegTrug that really works for small spaces is below this picture, and it comes in both a small and medium size. 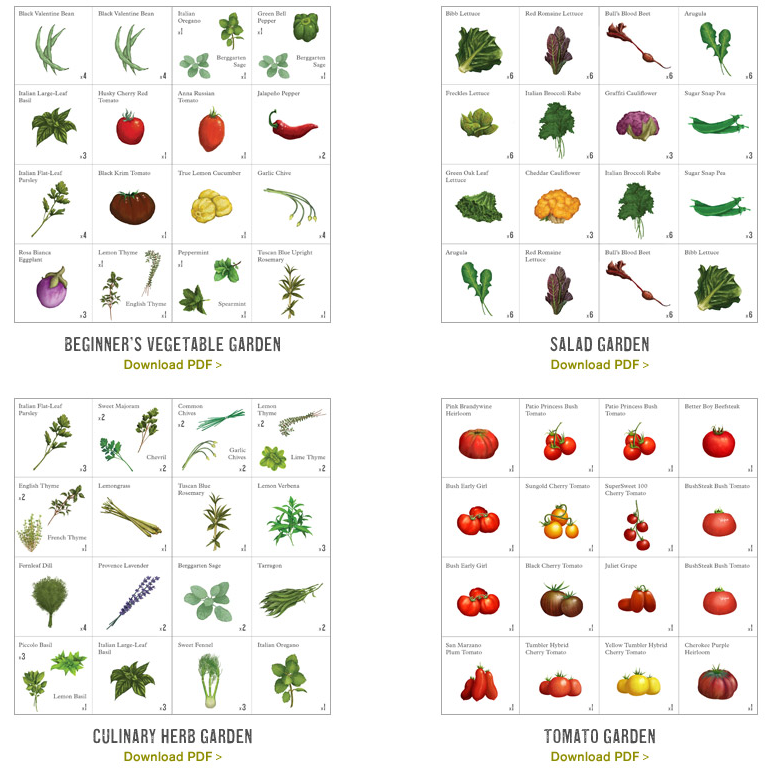 I also love that Williams – Sonoma has a whole section on their site under the VegTrug brand that allows you to download PDF’s to help you see and understand what you can plant and how much you can plant in your VEGTRUG raised garden planters. The link to download these PDF’s is here. Designed by a woman in Holland, who needed a solution to keep pests off her plants, the award winning and fast growing GROW CAMP brand is beautiful and well thought out. The feature I like best? 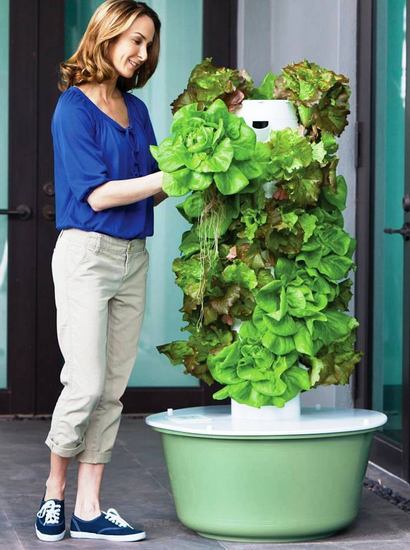 They have a GROW WATER solution, which is a self-watering mechanism so that we’re all free to travel without having to worry about someone watering our vegetables. This model below is available, here, for $329.00. 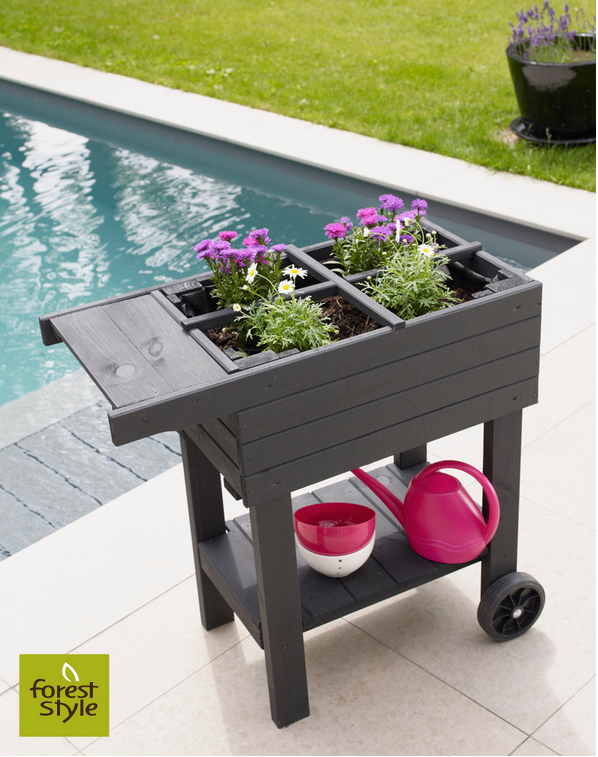 A new addition to their line, self watering plant boxes on wheels, is perfect for really small spaces – where you might have to move it around to catch more sunlight for your veggies. Unfortunately, there is not a great picture of it online, only this small one below, but you can see the benefits of having this self watering planter on wheels, right? Love! 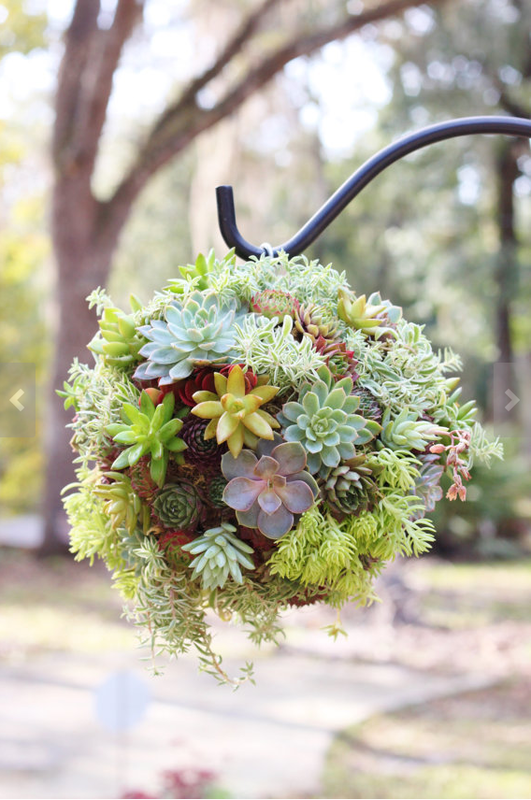 And lastly, I leave you with a few pictures of beautiful, small space succulent gardens, that I found on Etsy. They just make me happy and I hope they make you happy, too. 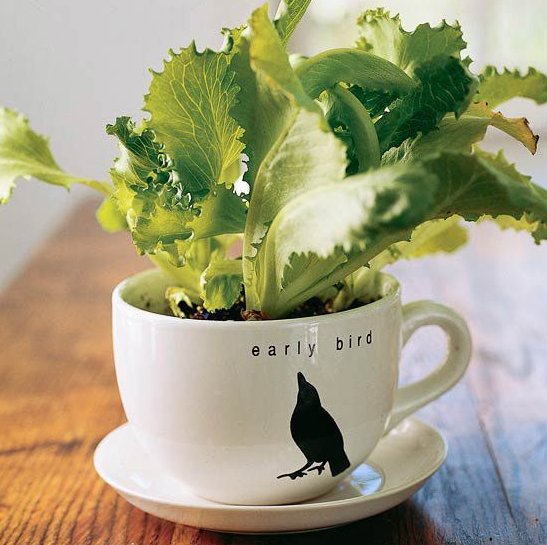 They would be a beautiful, sustainable, low water addition to the vegetable gardening you do on your patio or balcony. If you have a medium sized budget, the *Kissing Ball* below, is 175.00, here. 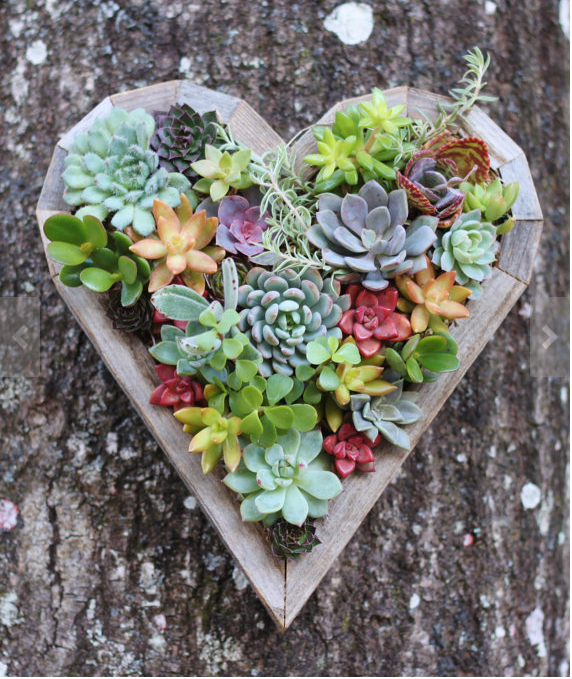 if you have a smaller budget, the $47.00 dollar * I Heart Living* vertical succulent planter below, available here, might be for you. What a great wedding gift this would be, too! but if you just have to have the most beautiful one of these I’ve ever seen, the Quatrefoil, here, is $288.00. A splurge I think my own outdoor living space is going to see. #SWOON! 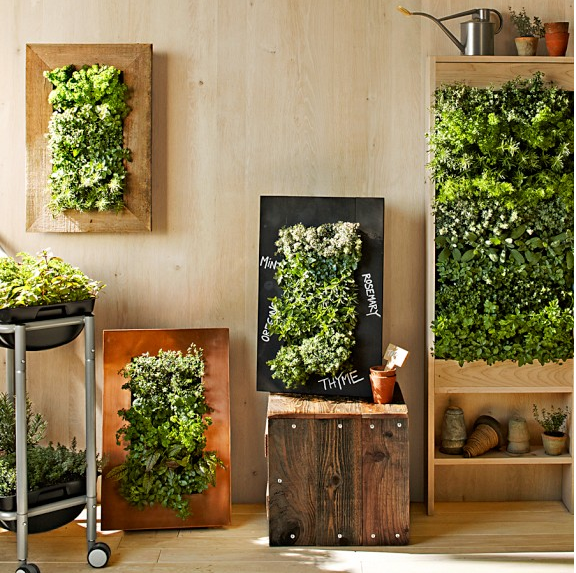 Hadley Court, readers, please let us know which one of these small space solutions is your own favorite in the comments and, if you have others you’ve seen that you love, please leave a link in the comments so that all of our readers can have as many choices as possible for their own small space vegetable and succulent gardening. As always, thank you for reading Hadley Court – we never take your time for granted and we appreciate YOU. « Farm To Table: Canning + Recipes For Summertime Family Gardening Fun!